You have a PhD student who has no industry experience. He’s all caught up in academia. He hasn’t applied his knowledge and skills to real world problems. And his experience in sales only goes as far as eBay. So why does VISA Global, one of Australia’s largest privately owned freight forwarding companies, approach him to solve the classic travelling salesman problem: how to get from A to B in the least amount of time and energy? With online sales soaring, the logistics company wanted to find more efficient ways to deliver goods. Ways that would reduce their carbon footprint, and at the same time grow profits: they needed to optimise their routes. Mathematics PhD student Yi Chen, Federation University (formally University of Ballarat), knows all too well that optimisation problems are tricky. The fun part, he says, is seeing the optimisation give better numbers – and in this case seeing it give even better profits. It wasn’t just VISA Global that profited from the APR.Intern program. Online sales have increased by 11.3 per cent over the last 12 months, according to NAB. So VISA Global engaged APR.Intern to find them a creative mathematician to develop new approaches for improving the efficiency of their fleet. “The results of Yi’s work were very impressive, and provided VISA with a verifiable approach to solving the problem, with potential gains far in advance of what had been hoped at the outset,” explains Marcus Denny, Manager of the Systems Design Division at VISA Global. 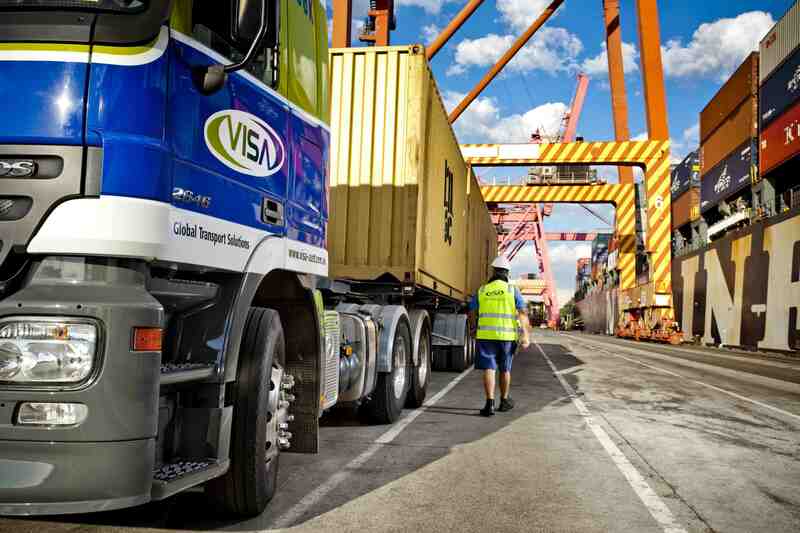 “Improvement in efficiency of vehicle movements will result in a direct and significant saving to VISA Global, both in terms of wear and tear on vehicles, as well as fuel consumption, with the simultaneous benefit of lowering VISA Global’s carbon footprint,” Marcus concludes. Yi’s story is one of many that highlights the innovative and sustainable benefits of the program. APR.Intern allows Australian businesses to tackle their short-term research needs through its unique access to young Australian researchers, and their academic mentors.